Retail Therapy at its Best! If viewers loved the Devil wears Prada then with a more muted less robust story, go and watch Confessions of a Shopaholic – its like Muriel’s Wedding on acid with costumes by Patricia Field the costume designer for the hit TV series Ugly Betty. Best Line: You speak Prada? Best scenes: The bridesmaid dress and the baglady & the Credit card in the freezer!!! Confessions of a Shopaholic is an irreverent comedy about one girl’s ability to shop up a storm and also try and deal with climbing the corporate ladder of New York’s publishing industry. 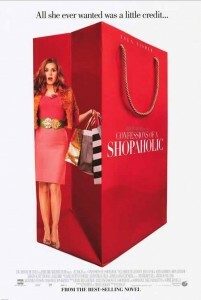 Featuring a wonderful performance by Isla Fisher along with Hugh Dancy, John Goodman and Joan Cusack, this film is a light and fun romp about the pleasures associated with retail therapy. Recommended for some light entertainment and loads of fun.